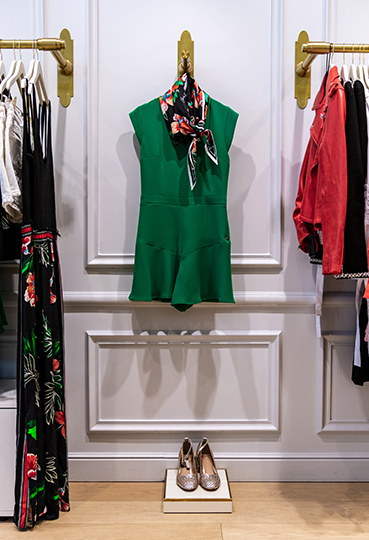 Be transported even further away to tropical destinations and discover Bali with an urban and exotic chic capsule, with the key inspiration of the collection. 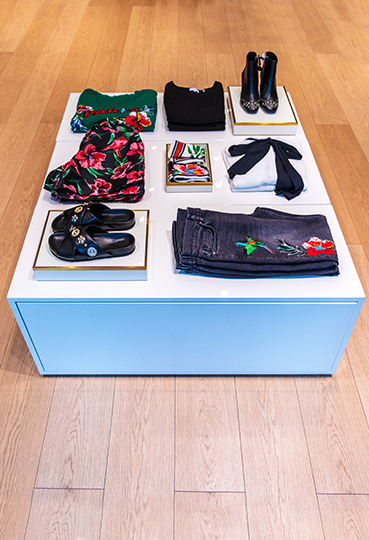 Discover from now on in Claudie Pierlot boutique at La Vallée Village. he military influence is felt both in the khaki knitwear and bright green T-shirts with pompon details. The accessories adopt gold and silver flowers. This sophistication also comes throught in the silk print of the scarves and softly contrasts with the natural appearance of the cotton bourette suits. Birds of paradise and multicoloured parrots are featured on the prints and embroidery for a summer with exotic vibes.